Home›Science Experiments and Projects›Physics experiments projects›Make your own Water prism. 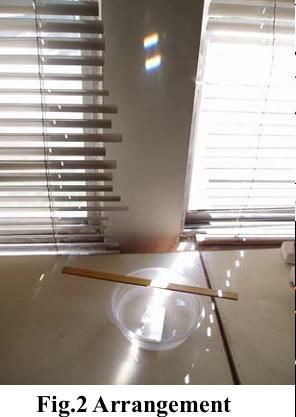 We can see a clear spectrum projected on a wall using a plane mirror and water in a vessel instead of a prism. Put a plain mirror in the container slantingly as shown in Fig.5. Fill the container half with water.. The stick is used to adjust the quantity of incident sunlight and get a clear spectrum. A beam of white light like sunlight is split into seven colors of spectrum after being passed through a prism. This is because the refraction index for glass depends on the light color (=wavelength). The refraction index for violet light is a little larger than that for red light as shown in Fig.3. 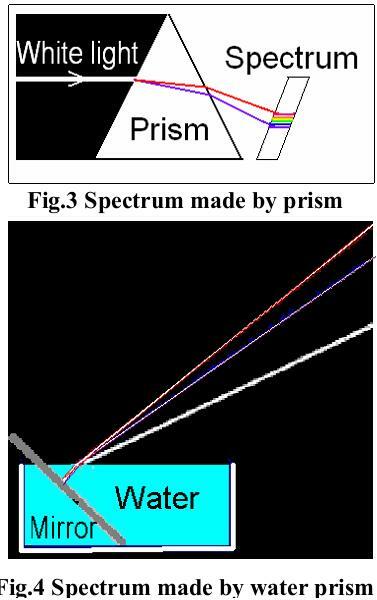 Fig.3 Spectrum made by prism In case of water prism, the combination of water and mirror works as a prism and make a spectrum on the wall of the room clearly as shown in Fig.4.